For generations now, horror movies have been giving the world a unique and interesting insight into what to expect when and where the world as a whole takes a turn for the worse and we’re all left fighting for survival. 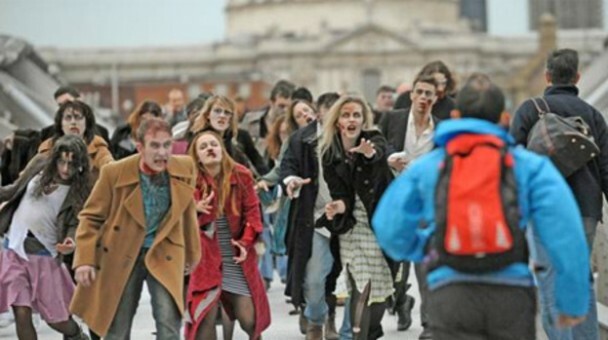 Scientists have readily admitted that it’s more than possible we’ll encounter a zombie outbreak eventually, as it really only takes the slight mutation of one common virus to see things quickly spiral out of control. 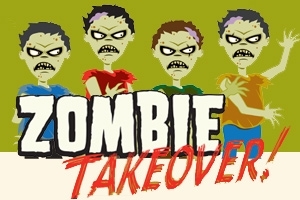 And when they do, chances are the lessons learned from those zombie movies might just come in handy. Right off the bat, there’s really nothing to say that you or anyone else has to follow the one member of the group who may be brave, but is also borderline psychotic. There are so many movies and TV shows where the guy or gal leading the group to ‘safety’ is technically the kind of person you’d usually cross the street to avoid – why would it be any different when your life is on the line? That level-headed math geek in the corner with no social life and encyclopedic knowledge of 80s zombie movies – a much better choice. It’s so annoying to see these guys stocking up with decades-worth of bits and pieces, only to forget to leave a few bug out bags to grab the moment their sanctuary gets overrun. It’s so easy and so unbelievably important – pack a few bags with essential supplies, leave them by the door/in the car and then when the time comes to bolt, you don’t have to bolt empty-handed. But no, they don’t bother and then they start moaning when they’re ill-equipped…so lesson learned. It’s almost hilarious to still see the old splitting-up tactic being followed in any kind of zombie or horror movie when every last one of us knows that this is 100% guaranteed to result in a fair few deaths. It’s pointless and it never works – especially when splitting into wholly uneven groups where one side’s full of heroes and the other…well, less so. Groups that stay together slay together, so don’t go making this rookie mistake! Oh yes, such great logic and proactivity by sleeping in shifts and keeping one person awake to be on the lookout for trouble. Sadly, this leaves no failsafe for when said night-watch person also then falls asleep, leading to the kinds of grisly consequences we’ve all seen a million times over. Plus, there’s also the chance that the person watching over you could go well and truly postal, steal your gear and make off with everything you needed to stay alive. Sleeping in shifts is great, but putting the fate of everyone in the hands of one person while you do so is crazy. If there’s one time in life (or what’s left of it) when you all need clear heads, it’s now. As such, why is it that so many choose these kinds of moments to say “Hey by the way, I cheated on you with your brother” or “Guess what – the baby isn’t yours” and so on and so forth? Not that clearing your own conscience doesn’t feel good sometimes, but when the slightest distraction or additional ill feeling could lead to the demise of every last person in your group, why the hell would you bring this kind of stuff up now? Making a bad situation worse is…well, it’s bad! Last but not least, it might look nice and heroic to see that big brawny chap in the movie take down a bunch of zombies with only his fists as weapons, but to call this a bad idea would be an understatement. First of all, who on Earth ever suggested a zombie could be killed with a punch? The answer is of course, nobody…not now, not ever. Then of course there’s the small matter of logic to address – isn’t it the teeth of the zombie you’re supposed to be avoiding at all costs? Yes, driving your fist into a mouth full of zombie teeth may look impressive and feel satisfying at the time, but technically all you’re doing is biting yourself on the zombie’s behalf and saving him the effort. Well done, hero.